Manchán Magan is a prolific writer and documentary maker who’s accounts of Irish culture, language and heritage are always heart felt and thought provoking . 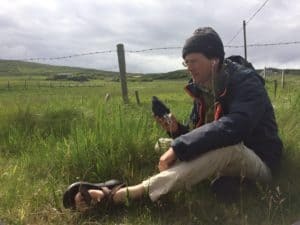 His current radio documentary on Irish natural heritage is airing every evening this week at 10pm on RTE radio one. Manchán will be hosting the panel discussion on growing grain in Ireland with Monika Walecka and Andrew Workman and he will also will be chairing the Conversations of the Heart with Mary Reynolds and Jason Horner on the Moyhill Farm day out.